Learning is a joy - experiential, hands on, project work, experience learning; reflection, dialogue & discussion - the Sixth Element's vad vivad methodology, with the role of the teacher & caregiver to mentor, coach & encourage self learning thereby creating life long learners, who enjoy learning (and therefore adapt to our fast changing world). Integrating traditional teaching with books with modern project work & e-learning. Sportsmanship in sports, yoga, to learn to persevere & excel, not just to win, humility & grace in defeat, team(i.e. the larger purpose) comes first. wholistic- strengthen the mind, body & spirit . Instill spirit of adventure, discipline, team work scouts & guides mantra " be prepared"
We are the world - ethics & values classes, story time, role modelling, discussion, inclusiveness, social impact project work, reflection sessions aim to build the right foundation in our children. We experience massive change & disruptions across sectors – and so schooling & education particularly for the early years needs to adapt – so as they are growing up they are ready for the massive change around. The Sixth Element School has been successfully operating its nursery school & daycare campus for “over 14 years” at South City 1, Gurgaon. The role of Television in our kids’ life is much bigger then it seems, whereas a parent you witness many new changes and transformations within your child’s life. Together or Apart: Should Your Twins Be in The Same Classroom? there are different perspectives of the parents when it comes to separating or keeping them together in the classroom, however, at Sixth Element School, we believe that by separating the kids in the classrooms only foster their independence. Furthermore, it allows your kids to figure out how to get through the daily school activities without being dependent on their twin and thrive on own. The worth of year before kindergarten is one of the most vital aspects for a kid to learn important skills, such making the shapes of letters and numerical numbers on paper, coupled with matching rhyming sounds. For years, the debate on school uniforms is not settling down and it has turned into a high-level moot point of discussion. For my child – which is the best school in Gurgaon? And the best daycare in Gurgaon?? We are living in rather interesting times…..as many thought leaders say VUCA times: Volatile-Unpredictable-Changing-Ambiguous and a fast evolving world…. 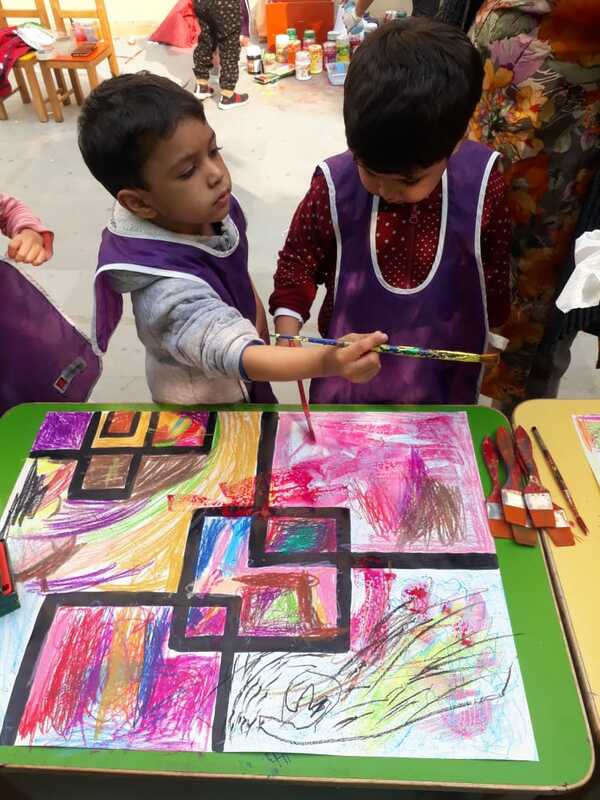 As a parent – I’m looking for a solution for preschool & day-care in Gurgaon, As in Gurgaon – most of the schools/campuses are “just schools” or “just day-care” centres.